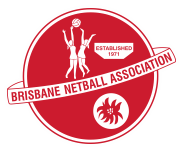 If you’re child is eligible, you may apply for a voucher for $150 which can be used to cover the playing fees for the Summer Netball competition with Kedron Lions. Round 4 is now open and close on Wednesday, 15 October 2014, or earlier if all available vouchers are allocated. All eligible children and young people in receipt of a voucher in 2013 are eligible to reapply for a voucher in 2014. However if you have already been successful in 2014 you are not eligible for this round. If you are successful in being granted a voucher, you can present it to us to cover some or all of your registration fees in Summer 2014-15.